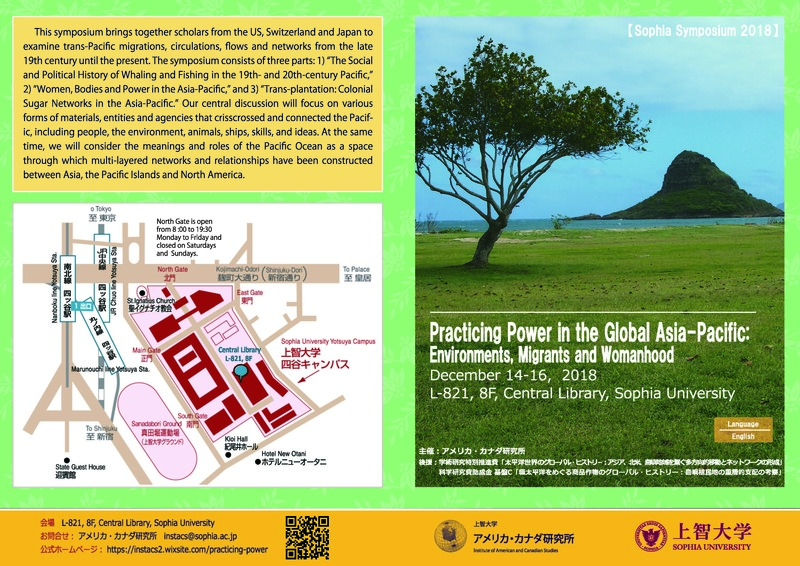 This symposium brings together scholars from the US, Switzerland and Japan to examine trans-Pacific migrations, circulations, flows and networks from the late 19th century until the present. 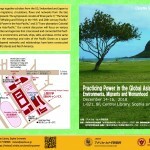 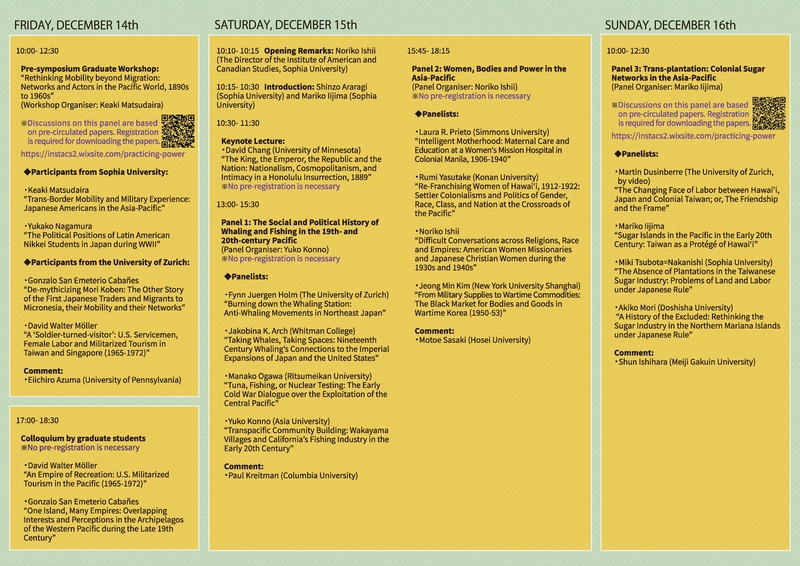 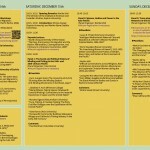 The symposium consists of three parts: 1) “The Social and Political History of Whaling and Fishing in the 19th- and 20th-century Pacific,” 2) “Women, Bodies and Power in the Asia-Pacific,” and 3) “Trans-plantation: Colonial Sugar Networks in the Asia-Pacific.” Our central discussion will focus on various forms of materials, entities and agencies that crisscrossed and connected the Pacific, including people, the environment, animals, ships, skills, and ideas. 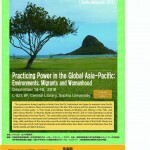 At the same time, we will consider the meanings and roles of the Pacific Ocean as a space through which multi-layered networks and relationships have been constructed between Asia, the Pacific Islands and North America.